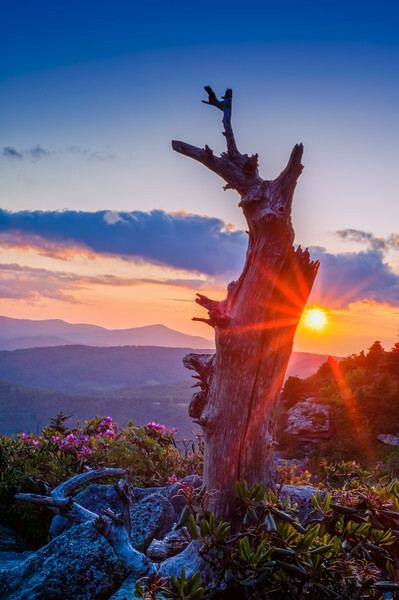 This gallery is a collection of photographs showing the beauty of Western North Carolina in the heart of the Blue Ridge Mountains near the Great Smoky Mountains National Park. All photos are for sale by clicking the "buy" button and can be added to your cart with lots of options for display. If you would like even more options or merchandise feel free to check out http://www.shopartistwithcamera.com Thank you for looking. This image was voted 2nd place in the Landscape catagory at the 2012 WNC Foto Fest. It is from the summit of Grandfather Mountain State Park on a cool summer evening.